One of the last scheduled biweekly patches of the season was released shortly after the conclusion of the TI8 Regional Qualifiers. It was unclear whether there was more to come, but after almost two weeks since then, no more patches have followed. Even last week's Thursday went by without any news or updates. 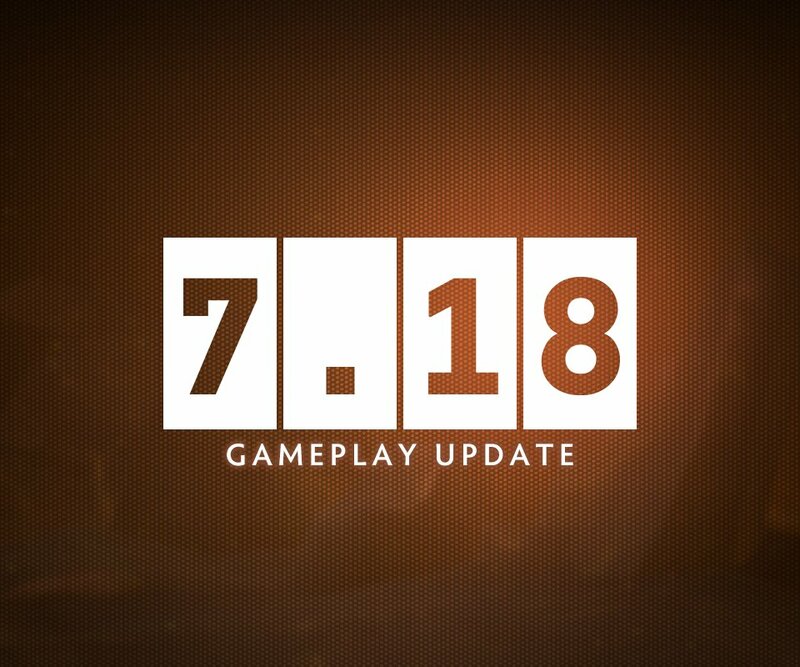 However, a quick review of patch 7.18 is enough to convince many that the meta and balance of the game are close to ready for the big event. Most of the changes have been buffs, but there are some over-buffed heroes from previous patches getting the rightful adjustments to keep their win-rates in check. Let us take a look at what impact this patch has had on the meta over the past two weeks. Disclaimer: The win-rates (courtesy of DOTABUFF) are across all brackets and only include the professional meta where mentioned. Also, some of the minor and unimpactful changes have been omitted. Reducing the cooldown of Aeon Disk back in 7.10 may have been a step too far in the effort to make the item popular. It seems it was simply underutilized due to its unrecognized potential. Since then, the item has grown rapidly in both popularity and win-rate. Despite the massive nerf that increases its cooldown beyond what it originally was, the item has an impressive, unchanged 58% win-rate which makes it a must-buy on fragile, glass-canon heroes. It is especially useful when they are prime targets to get initiated on, preventing them from being burst down. Echo Saber fell in popularity after the resurgence of Sange & Yasha, which has since been nerfed in several aspects. With these changes, the former is now very close to the win-rate and pick-rate of the latter. Although either is situational in its own right, you can't really go wrong with one or the other on most melee carry heroes. However, the fact that Echo Saber is replaced earlier than Sange & Yasha due to lower slot efficiency is what makes it a rare choice in professional games. Although the meta is still very dependant on early game aggression and winning lanes, the average game length across the board has gone up. The reduced cooldown has barely had any impact on the win-rate or pick-rate of the item. Even Invoker, the hero with the most Midas purchases by far, does not purchase the item as much as he used to, especially in professional tournaments. It may take one more small buff to the item before its comfortably popular. A rightfully deserved nerf, due to the fact that it did the same amount of damage on a ranged hero as it did on a melee hero. This made it a very popular pick on ranged position 4 heroes like Windranger who simply traded damage efficiently in their dual offlane. It was even getting picked up on the hero with the lowest base damage in the game: Techies. The nerf has barely made any change in its win-rate or pick-rate, but that is mostly due to its preference by melee heroes rather than ranged ones. The rework to Maelstrom back in patch 7.14 was clearly massive, bringing the item back to popularity on heroes like Mirana and Ember Spirit. It served as an excellent tool to clear creep-waves and farm compared to some of the expensive alternatives. However, the damage buff was a bit too high, and with this nerf, it has hit the item's win-rate by just 0.5%. Regardless, the item remains just as popular and will likely continue to be so. IceFrog continues to show love for Alchemist, having consecutively buffed him four patches in a row. The earlier improvements to his Unstable Concoction ability to make him a more active, fighting core did not help his popularity much. However, with buffs to Greevil's Greed, players are returning to give the hero a chance again. Compared to the last patch, the hero has a 2% increase in win-rate and 1.5% increase in pick-rate. Ancient Apparition doesn't really need buffs. He fits the niche category that hard counters a specific set of heroes, and maintains a strong 53% win-rate in pubs, which hasn't changed much even with the increase in Ice Blast duration. His below average pick-rate has also not changed due to his specific design. The favored first-phase pick for professional players has now been nerfed for the third patch in a row, and the stats show for it. A 1% drop in both pick-rate and win-rate are not as minor as one might think, especially since the pick-rate of the hero is now an abysmal 3% overall. 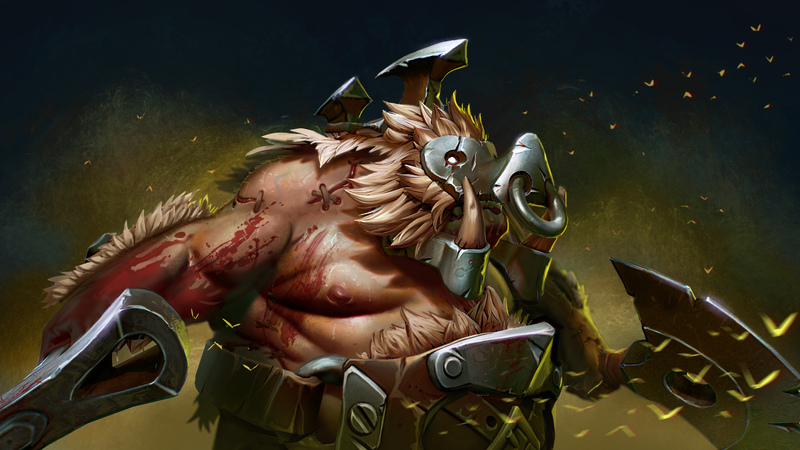 Such a simple and minor change to Centaur Warrunner, one of the more forgotten offlaners this season, has resulted in a sudden surge in popularity in the pub meta. Although the win-rate of the hero has only increased by 1%, it is being picked by almost 3% more players now than before. Regardless, the hero is yet to make his comeback in professional Dota. Its anyone's guess as to why Clinkz keeps on getting buffed. Although the changes this patch didn't significantly affect his pick-rate or win-rate, he sits well above the averages of all the heroes. As for the pro meta, he remains largely absent despite his strength in the early game. Perhaps players will give him a try in the upcoming BTS Summit 9. The developers at Valve may have gone a step too far with this one. Combined with the reduced cooldown in the last patch, Crystal Nova is now a potent harassing tool for Crystal Maiden, who has been buffed in various different aspects in most of the last patches. Her win-rate may not have increased substantially, but her pick-rate has skyrocketed by a massive 5% overall. In the Divine bracket, it is a whopping 27%, where players are utilizing her to the fullest potential, pairing her up in a dual offlane to make life hell for safe-laners. Dark Willow's damage potential even as a position 5 support has been talked about before, which is why the buffs to the damage output of Bramble Maze is confusing. Clearly, it is not what the hero needs, as she is surprisingly fragile to magical nukes, and even more so when caught with Shadow Realm on cooldown. The statistics prove the same, barely affecting her pub win-rate or pick-rate over the course of the last two weeks. Dazzle's changes mainly revolve around his ability to harass offlane heroes. Poison Touch has been buffed multiple times since its rework, but it still doesn't make the hero a meta pick, evident from the barely affected pick-rate and win-rate. Perhaps it is the hero's innate design that counters specific strategies, similar to heroes like Enchantress and Lich, that leaves him in the dust in the current meta. Earthshaker's buffs affect him in many different facets, which makes this patch so very good for him. His laning prowess, Echo Slam damage, and improvement to Aghanim's Scepter upgrade are all very beneficial, which shows in his win-rate that has increased by 1% and pick-rate that has increased by 2%. He may not show the same dominance in the upcoming TI8 as he did in TI7, but certain players are sure to save him up their sleeve. On paper, the nerf to Fire Remnant's charge restore time looks minor. But the stats show something different. A 1% drop in both the win-rate and pick-rate of Ember Spirit is not irrelevant and keeps the hero's massive return to popularity in check. Enchantress is another one of those heroes that is a strong counter to a specific set of heroes but falls short in other regards. Increasing the attack range and damage output of the hero only make it scarier in such scenarios, which isn't necessarily a step in the right direction. This is worrisome since the win-rate of the hero has surged by a massive 5% and subsequently, the win-rate has also increased by almost 2%. You can add it to the list of obnoxious position 4 supports that make for a formidable dual offlane. 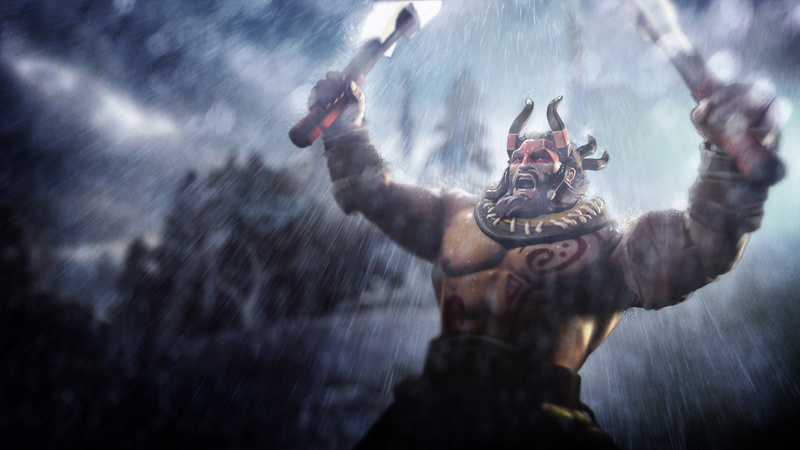 There are a few nerfs to counteract the serious buffs Enigma has received this patch, the impact of which shows in his statistics. On average, his pick-rate has not increased, but his win-rate got a decent increase of 2%. He now looks like a very well-rounded hero, with strong laning presence and even faster scaling into the late game. His talents are also extremely good, with major improvements to Midnight Pulse, often the least prioritized ability in the early game. Invoker is one of the most popular heroes in the pub meta, favored by players regardless of whether they are proficient at it. So it shouldn't come as a surprise if his pick-rate wasn't affected by this patch. But that shouldn't mislead you, since his talents are massively better, improving his disable and control abilities. The increased Tornado lift time allows Invoker to fight easily early on, allowing some quirky builds with Meteor Hammer, usually on the Quas-Wex build. Not only that, the reduced Cold Snap cooldown allows him to permanently cast the spell on a single enemy, given that he has an Octarine Core in the late game. Pro teams may not like Legion Commander very much, but pub players certainly do. Which is why her win-rate has increased by 1% over the past two weeks while maintaining the already high pick-rate. Hopefully, this will make players fight more with Duel rather than stick to the jungle and farm items. Similar to Keeper of the Light in the last patch, Lich can now use his mana-gaining ability without worrying about its mana-cost. Another quality of life improvement is the reduction in Chain Frost's cast point. The most important one is the increase in Ice Armor, that makes him stronger against physical damage-dealing lineups, such as Drow strats or heroes like Slardar. Meepo fell off hard after the nerf to his base magic resistance from 35% to 25% but has been compensated for with a buff to base armor twice in a row. It makes his laning phase just a little bit better, resulting in a 1% increase in both win-rate and pick-rate. He may have risen as an above average hero in the pub meta in recent times, but is still relegated as a rare, last-pick cheese hero in professional tournaments. It feels like this hero has been buffed for about the eighth time in a row, a move IceFrog may soon come to regret. With a massive 3% increase in win-rate and 2% increase in pick-rate, he now stands close to the height of power he was at about one year ago. Even professional players have been testing Necrophos in their pubs, with great success, and it is only a matter of time before they do so in LANs. It's funny how a buff to a hero has actually resulted in a drop in his popularity and impact, though it may not necessarily be the direct result thereof. The hero is still a decent, versatile utility pick that sees the light of professional Dota now and then. One of the more talked about changes of the patch was definitely the fixed distance of Meat Hook's cast range. It has almost transformed the hero into something new. After the repeated nerfs to Rot, his ability to trade damage and run down enemy heroes early in the game was severely limited. And although his win-rate has barely increased, a massive 10% burst in the win-rate of the most popular hero in the game is phenomenal, albeit somewhat misguided. Pub players in the lower brackets really don't want to see this hero buffed, unless they are Riki players themselves. There may be a few nerfs to compensate for the buffs, but overall, he deals more damage and has better utility. A 1% increase in win-rate might seem small, but when he stands at a 56% win-rate overall, with a 2% buff in pick-rate as well, you cannot help but think when the nerf hammer will arrive. Another strong pub hero gets a critical buff, increasing his win-rate by almost 2%. His popularity is about the same, with regular spikes in pick-rate now and then. The change makes his prowess at sieging buildings only that much better. Sniper is one of the weakest heroes in pro-Dota, where his pick-rate contrasts that of pub games. And I think most would agree that his damage output is not the problem. Regardless, he gets a buff similar to many other carry heroes in the recent past, allowing his ability to pierce Spell Immunity. His fluctuating win-rate is also not a positive indicator that we will see him at TI. Sven is one of the biggest winners of this patch. A 2% increase in win-rate and 3% increase in pick-rate is no joke. And if his performance at BOT TI is any indicator (which its obviously not), thanks to the power of Great Cleave, he will make a return at the real TI soon. At first glance, I would have written off this change as one of the insignificant ones of the patch. However, I don't think many could have anticipated the massive 4% bump in win-rate on the hero. Pub players are yet to catch up, as the pick-rate has barely changed, but it will not go unnoticed by professional captains and carries alike. Tidehunter's win-rate over the past few weeks is hard to read, as it looks more like a sine wave than a straight line. His pick-rate also surged a couple of times around the release of the patch, but reset back to the old one after players realized he wasn't as good as he looks on paper. Buffing Gush's armor reduction is okay, but perhaps increasing the slow duration and value would have been better to provide him with more utility besides his ultimate that has a massive cooldown. Tiny has changed so much since his rework in patch 7.07, that it's hard to keep up. With a record low win-rate in pub games, especially in the lower brackets, he was pining for some much-needed love. His overall damage and strength keep getting buffed, but the problem remains that he is very slow and struggles to survive after failing to burst down an enemy. And although his pick-rate barely increased, a 2% increase in win-rate is what we will have to be satisfied with for now. Perhaps all he needs is some base agility and agility gain, which was mercilessly removed during his rework. If you thought Terrorblade got a huge buff, it falls short in comparison to Ursa's, which have amped up his win-rate by an unprecedented 5% and pick-rate by almost the same. All credit probably does not go to this patch alone, as he has been improved for the past several months. He may still be notorious for being kited, but his core abilities Fury Swipes and Overpower are superior versions of their old selves. Vengeful Spirit probably did not need these buffs, as she has maintained her top-tier 55% win-rate without showing signs of faltering. Her fluctuating pick-rates in pubs aren't too bad either. The question is whether she is strong enough to become pro meta material once again, and I think the answer is yes. The increase to Shukuchi's damage was a no-brainer, on a hero that is already deceptively strong in the early game, especially in aggro-trilanes. The two lines of change were all that were needed to swing her win-rate by 2.5% and pick-rate by 1.5%, no small stats by any means. There have been rare sightings of Weaver in the BTS Summer Cup, but time will tell whether that duplicates in top-tier tournaments. Valve's developers love Wraith King's skeletons, buffing their magic resistance from 0% to 50% in just a couple of patches. While his 56% win-rate proves he's a top-tier pub hero, its his rising pick-rate that shows real promise. The undisputed king of the offlane this season is being punished heavily. His win-rate and pick-rate are both on a steady decline, dropping by 2% in the last month. Although this doesn't relegate him to the trash tier, his presence at TI8 will definitely be affected. Bloodseeker has been an absolute menace in pubs lately, which even makes these nerfs seem like they're not enough. Even though it wasn't the preferred talent, +8 Armor on an agility hero that naturally gained so much of it seemed excessive. So did the +300 Health talent, and still does. Even though its unlikely that we will see another patch before the Main Event of TI8, he requires a few more nerfs in the long run. His 53% win-rate and 19% pick-rate in pubs is not due to sheer coincidence. The only notably overpowered ability that Chen has is his ability to send teammates back to the fountain and save them in the nick of time. Holy Persuasion gets a string of nerfs to address the otherwise unpopular and underwhelming hero outside the professional scene. This is the third patch in a row that Clockwerk has been nerfed, resulting in a steady decline in his win-rate and pick-rate. People have been complaining, but it shouldn't worry them too much, as he is still viable as a counter to specific strategies and heroes rather than being a flex first-phase pick in LANs. Doom's presence is slowly fading away with the most minor of changes. His pick-rate and win-rate have now slowly fallen below average values, but that does come as a surprise. All of his past nerfs have been rather small, and he makes for a formidable opponent in the offlane when paired with the likes of Lich and Skywrath Mage. It is incredible how a single line of code can send a hero from overpowered category back to where he was before. Following the nerfs to his laning phase, which is still decent, one of his most crucial skills has been dumpstered. Changing Relocate from a cast spell to a channel spell makes it several times harder to pull off a timely save without being interrupted by an enemy stun/disable. The trends show a whopping 4% reduction in both pick-rate and win-rate for the hero, a sad case considering we had only just started seeing him back to his glorious past self. Lycan is a pretty situational hero in pub games, proven by his pick-rate that has dropped to a measly 1.5% average. The story could not be more different in professional Dota, where he is one of the most contested picks, even filling the offlane position often. Hence, its not a surprise that he got nerfed again, dropping his win-rate by 2% to a decent 49% overall. 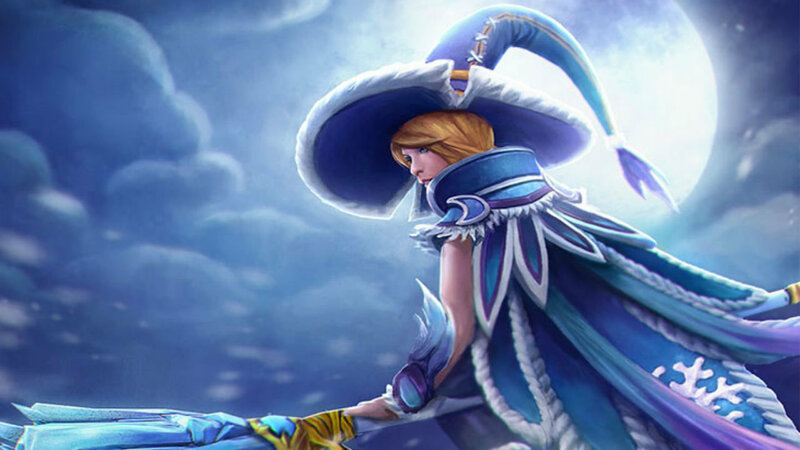 One of the most versatile and impactful heroes in the game had these nerfs coming her way after a string of buffs this year, resurfacing in pro Dota after a considerably long time. However, she still maintains her stronghold on her win-rate and pick-rate which have barely dropped by 1% and are still well above average. The recent pub build has almost universally focused on maxing Adaptive Strike early on in the game, along with Attribute Shift, instead of the traditional Waveform. This is due to the latter's limited and unreliable damage, and the former's low cooldown with variable utility. This still has not changed, as most of the players are still preferring maxing Adaptive Strike over the few who went back to levelling up Waveform first. Naga Siren has been getting a lot of hate lately, thanks to her favouritism by many professional teams, mostly CIS squads. Her traditional core build with Radiance is nowhere to be seen, thanks to her incredible utility and control as a position 4 support. The nerfs are hurting, causing a 2% dip in win-rate over the last month or so. This season's meta will be infamously known for the rise and fall of Night Stalker, who was once the most contested heroes in professional tournaments, usually being banned in the first phase. The focus has been on reducing his impact during the daytime, so that he truly lives up to his name and only shines at nighttime. A massive 4% drop in his win-rate has now made him a situational, below-average pick. The pub scene is also taking note, slowly shifting away from the hero. It is funny how one of the most cancerous and popular picks in the game was not addressed until now. The buff to his base strength a few patches back has been reversed, and rightfully so. A 2% drop in his win-rate makes him an average 50% hero, while his popularity is yet to follow suit. I think at this point, it is safe to say that Sand King has been overnerfed. He was hotly contested at the TI8 Qualifiers, but showed abysmal results. It would be very surprising if he shows the same level of popularity at the main event next month. On paper, Skywrath Mage's nerf didn't seem to be that big of a deal. But a massive 4% dip in win-rate and 1.5% dip in pick-rate tell a different story. His power peak is at the very beginning of the game, where he can harass and trade favourably with almost any hero with his obnoxious Arcane Bolt. An increase in its mana-cost obviously means fewer bolts before he regenerates his mana back up, all that was needed to keep him in check. IceFrog has been right on the money with so many of the changes this patch. Nerfing Warlock must have been on the top of his list, as the hero suddenly became a hot pick in both the pub and pro scene due to his incredible sustain and teamfight capabilities against dual offlanes with chip damage. A 2% drop in win-rate and pick-rate have kept him in check, but he is still a very strong hero right now. Windranger had been buffed both directly and indirectly multiple times in the effort to bring her back into the meta, and it worked. However, as is the case with so many popular heroes, she got nudged back down with a 2% hit on win-rate. She still remains very popular, and likely will in the coming weeks as well. Just like Warlock, Witch Doctor also has a very specific set of skills that make his laning phase very strong. Maledict, perhaps his strongest spell, was nerfed heavily in patch 7.14, but this one seems to be very minor. It has not made any noticeable impact on his pub statistics, so you will look at him go straight to TI. It one were to guess, it looks like this will be the very last balance or gameplay patch of the season, which means this is what The International 8 will be played on. Last week's Thursday went by without any news, while this week the update largely focused on revamping Dota Plus for the coming months. The meta is in a very good spot, with a large number of heroes proving they're viable in some or the other situation. There is still a small chance that a sub-patch will creep its way through, as there is plenty of time before the TI Main Event begins (about one month). Luckily, we also have the upcoming BTS Dota Summit 9 to gauge what pro players feel of the current patch, which heroes are truly powerful, and which ones will be left in the dust. Do you want to see more patches before the TI8 Main Event? Yes, nerf Zeus and Spectre, they're ruining my pubs!